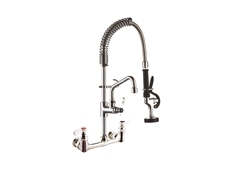 Description: Double deck mounted, MINI Pre-Rinse Unit with flexible hose. 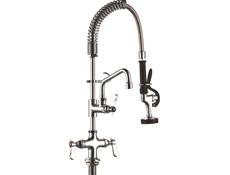 The H2O MINI Pre-Rinse Unit provides the same flexibility and performance as the standard Pre-Rinse Unit, but is suitable when space or height restrictions apply. 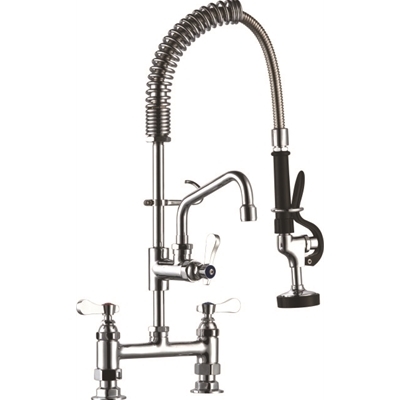 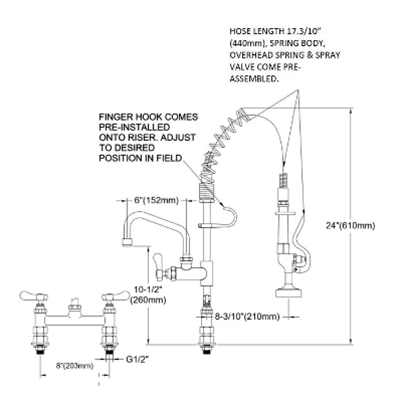 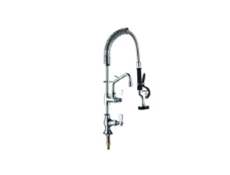 The unit is supplied with an add-on tap and 6" swing nozzle.